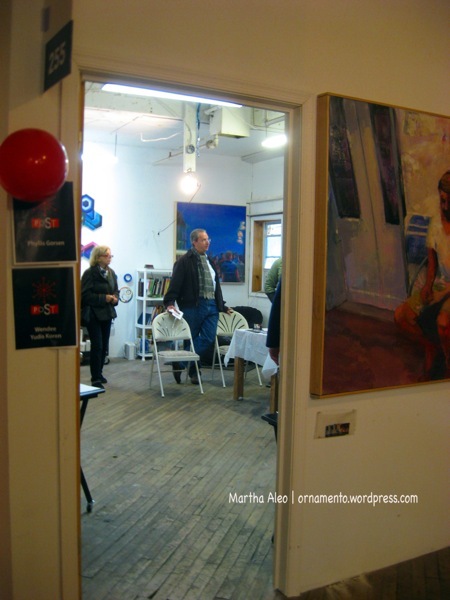 I posted last year about attending the Philadelphia Open Studio Tour of 915 Spring Garden Street. This huge building used to be owned by the Reading Railroad. 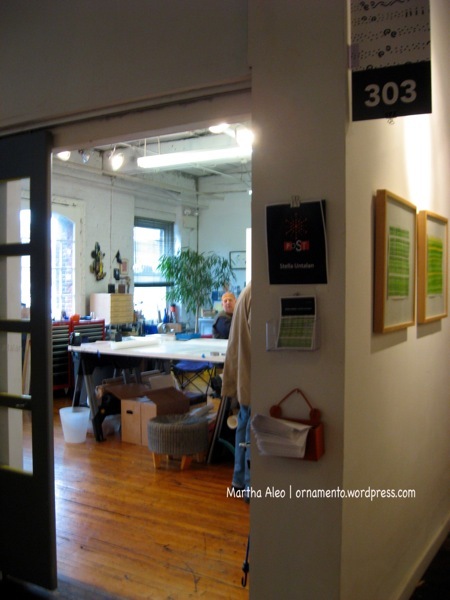 For the past thirty years, however, it has housed around 100 artists and their studios. No more. After a minor fire at 915 Spring Garden in early September of this year, and the City Department of License and Inspections conducted a post-fire examination and found numerous City code violations-so many that L&I ordered the artists to evacuate and to stay out of the building until the code violations are corrected. The building has been closed indefinitely. For more information, press here, here and here. Unless the artists have binding contracts with the owners/managers of the building, which I doubt, my guess is that the building will be sold to a developer and turned into condos or apartments leaving most of the artists in an untenable position. 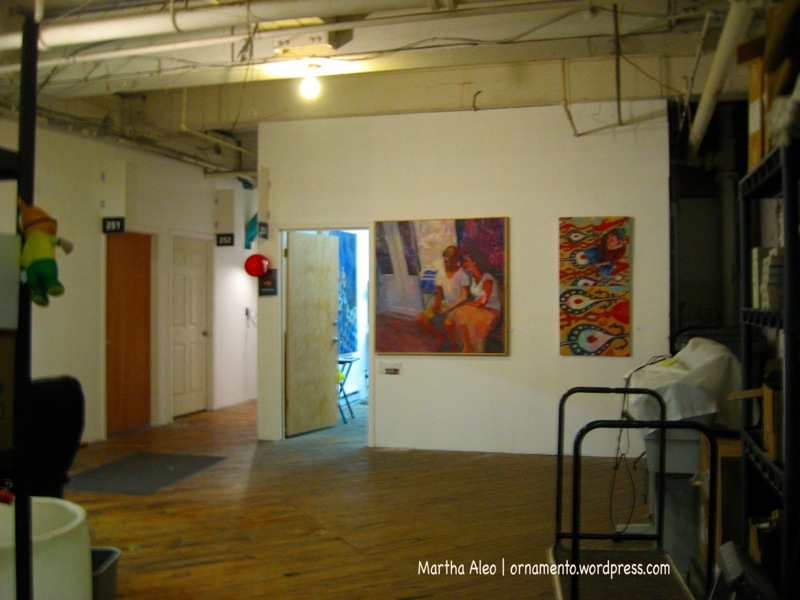 Inquirer columnist Inga Saffron wrote an excellent article on the closing of 915 Spring Garden Street and the difficulty artists face finding studio space in a tight real estate market. You can read her article here. 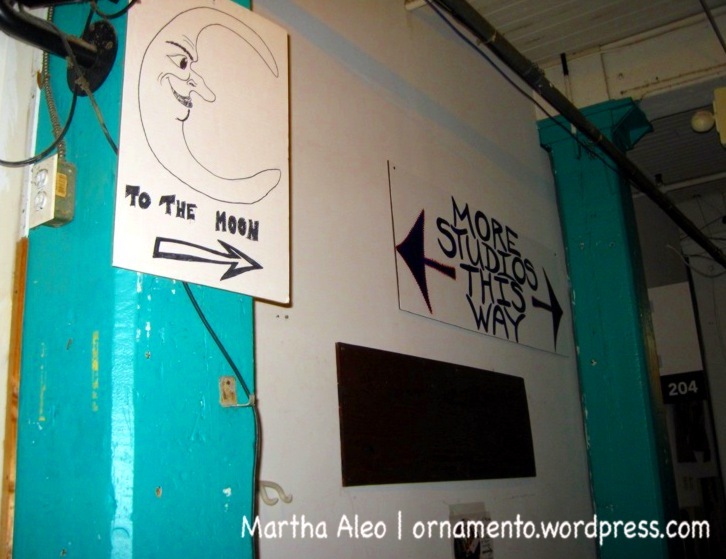 For this year’s open studio tours I headed to 1241 Carpenter Street– a big old factory building right in my neighborhood. 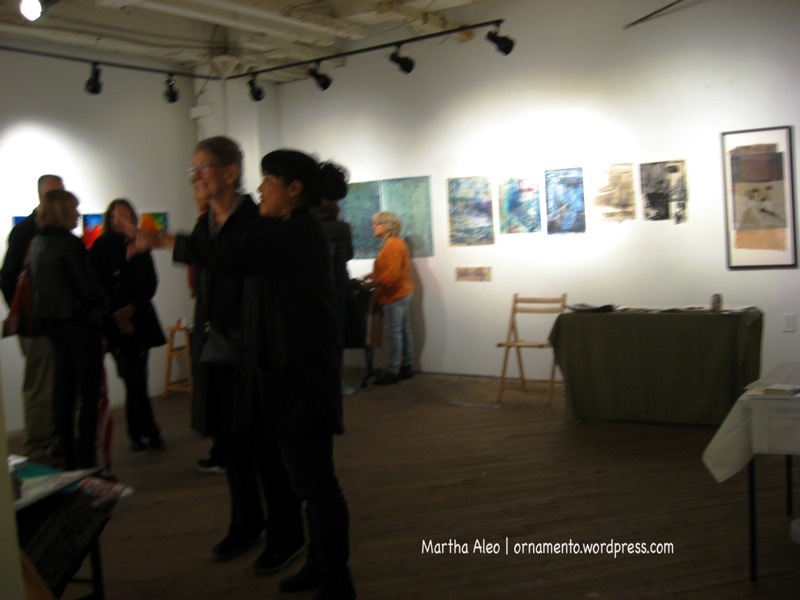 When I walked into Stella Untalan’s studio, (Be sure to click on the links to her incredible art. 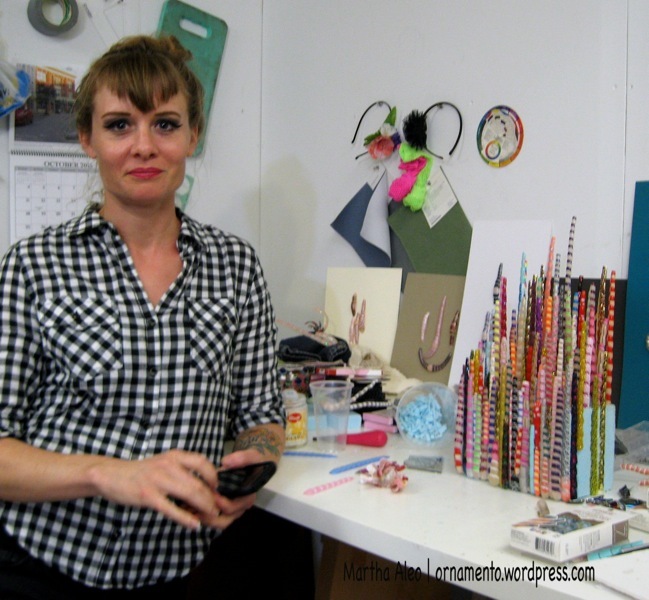 There was a reason I was hanging out in her studio! ) she was having a lively discussion with Steven Krupnick who bought the building forty years ago and operates a business there. It turns out that he is determined to maintain this building as affordable space for artist studios. This is not how these things usually go. 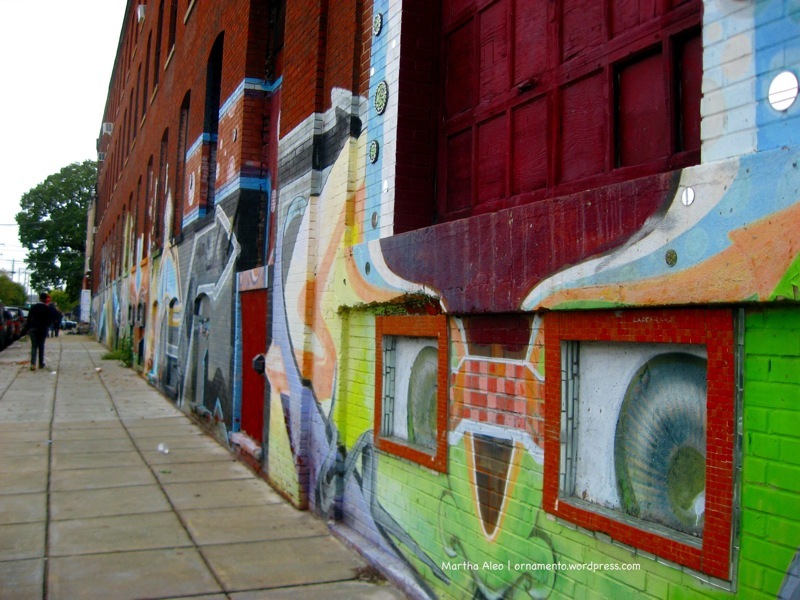 The neighborhood was pretty bad 40 years ago and for someone to buy property in an area like 12th and Carpenter, maintain it (which is what you do when you are not a speculator), pay it off and not sell it to developers so artists can have studio space is a tremendous contribution to the City. I cannot fault people who buy property and sell it at a profit, but I greatly admire people like Steve Krupnick who give back to the community. The City of Philadelphia owes him a debt. 1241 Carpenter Street is a big old factory building. Some artists from the Spring Garden Studios were able to find space in 1241 Carpenter, but by no means all of them. There is now a waiting list. 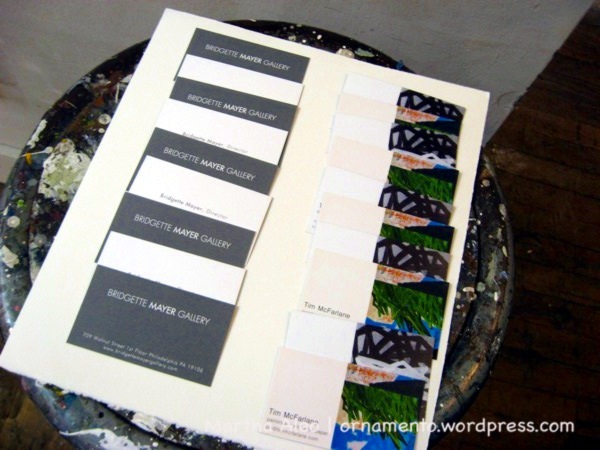 Tim McFarlane’s cards outside his tiny studio. 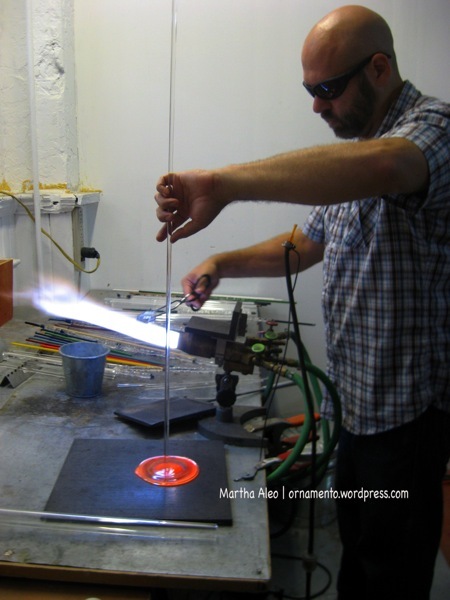 Click the links below to see his work. 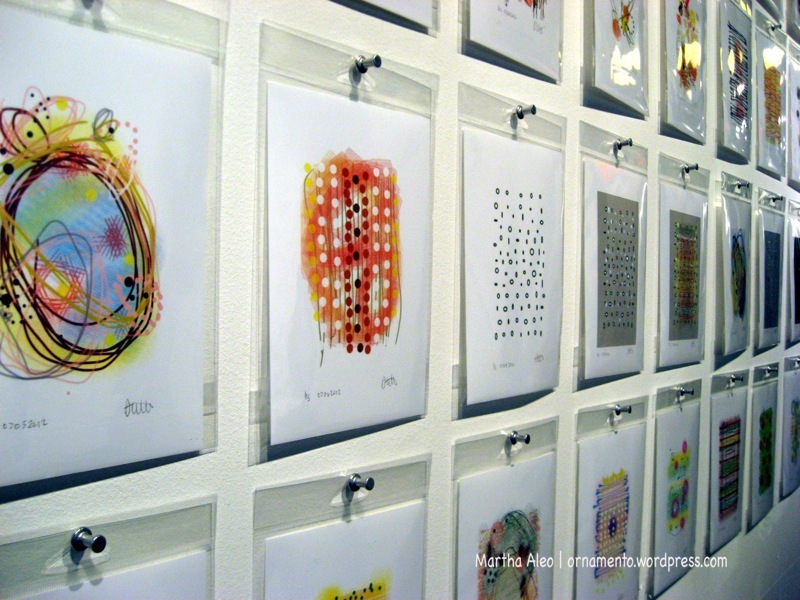 PD Packard is a print maker, watercolorist and book artist from Brooklyn, NY. 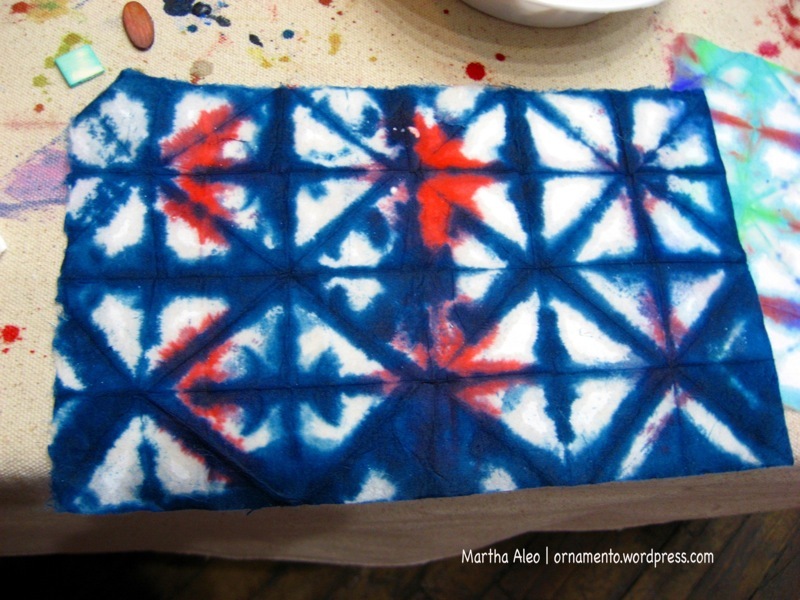 She led a hands-on shibori dying workshop. 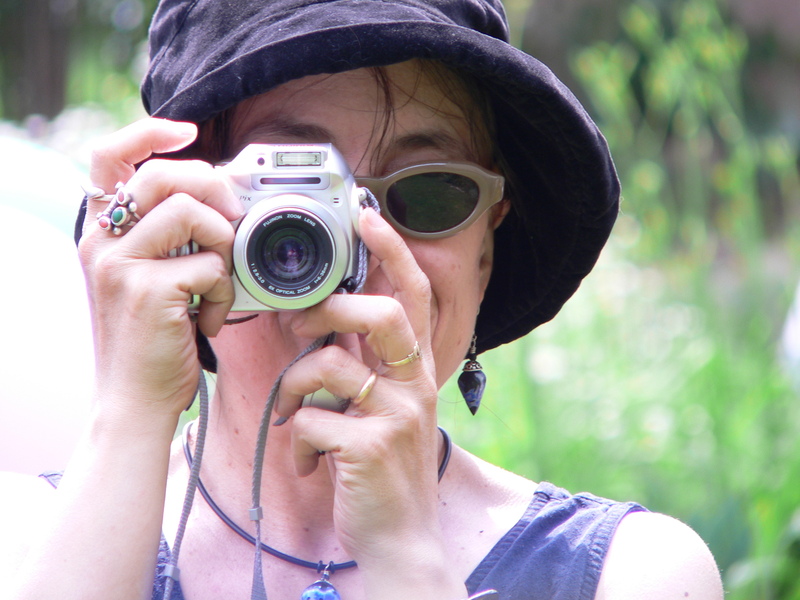 Check out this post about her on Seth Apter’s Blog. PD blogs herself and she teaches. I have one friend I think I could talk into traveling to Brooklyn and trying a class with me. I can never resist a self portrait. For a full list, press here. Thank you artists, thank you Steven Krupnick and thank you POST sponsors!